Are you enjoying N.C. Beer Month? I know I am! N.C. Beer Month is an excellent time to experience new beers brewed right here in Greater Raleigh. I think local beers are especially delicious when paired with creative food. Check the Greater Raleigh Beer Month calendar to find out about Greater Raleigh breweries partnering with restaurants in the area to offer exclusive N.C. beer dinners during Apr. I attended Flights @ The Renaissance&apos;s beer dinner with Big Boss Brewing Company on Apr. 3, which was an excellent way to spend an evening out with friends. I arrived to Flights early to watch the chefs prepare the dishes and to discuss how they came up with such a unique menu featuring wild game. Executive chef Dean Thompson and executive sous chef Anthony Zinani told me they spent days making preparations for six courses using wild game. They sat down together sampling Big Boss Brewing Company beers and created a unique menu, which definitely wowed the diners. 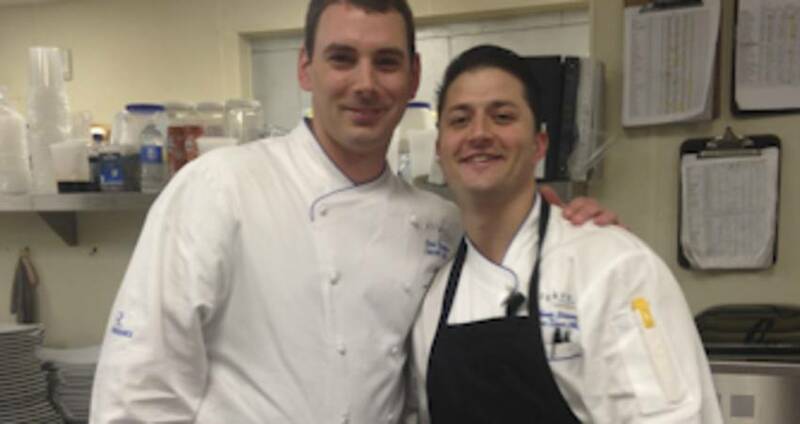 Dean Thompson and Anthony Zinani are talented chefs. They were both on the Flights team, who won Competition Dining&apos;s Fire in the Triangle Series in 2013. If you’re visiting Greater Raleigh, make plans to experience their talent at Flights. Flights is the perfect place to enjoy a delicious meal in the luxurious setting of the Renaissance Raleigh Hotel at North Hills. Chefs Dean Thompson and Anthony Zinani started off the Big Boss Brewing Company beer dinner with an interesting take on ballpark food. 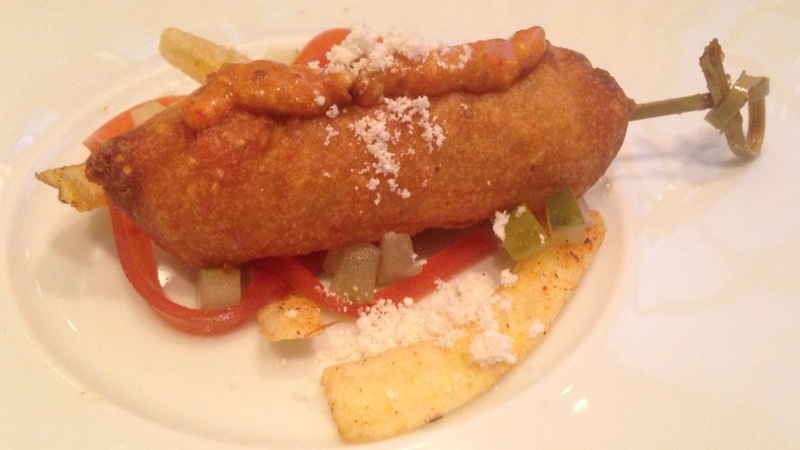 Instead of your traditional corndog, the chefs presented the diners with a gator boudin corndog, fries, Lusty Monk mustard and house pickles. The dish paired well with an easy drinking beer, Big Boss Brewing Company’s Hell&apos;s Belle. Hell&apos;s Belle is a subtle but complex ale that produces a clean, spicy citrus finish and is available year round. 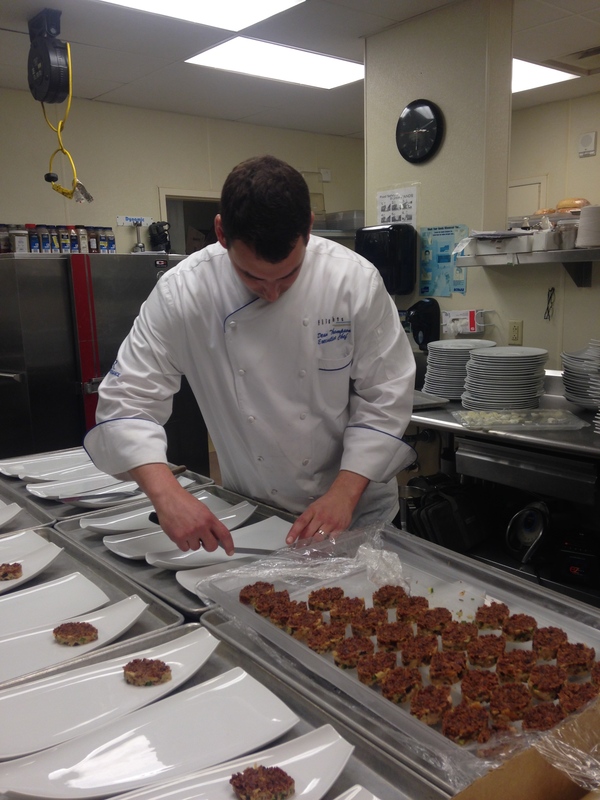 The chefs intrigued diners with interesting dishes like antelope chops, a boar chile relleno and more. Along with most diners at my table, I tried goose for the first time during the Flights beer dinner. 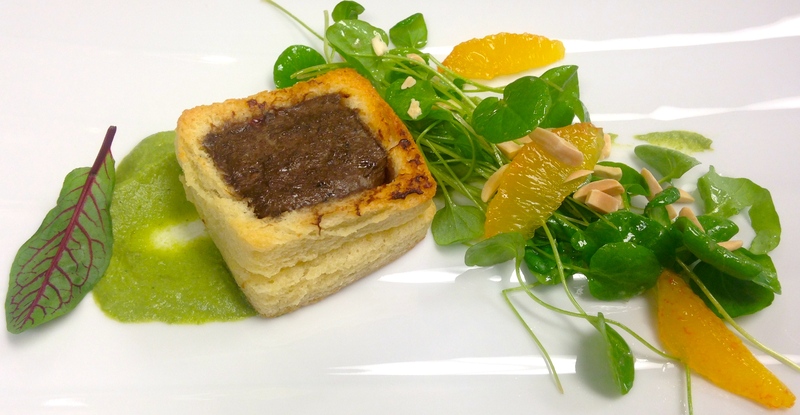 The chefs created a goose mousse in brioche along with a salad including mango tangerines and almonds. Big Boss Brewing Company&apos;s Centaur paired with the goose moose. The Centaur saison is dry hopped with Mosaic and has a citrus presentation, which went along well with the mango tangerines in the salad. The Centaur is only available in Mar. and Apr. and is part of the Alpha Team beer series, so hurry out to Big Boss Brewing Company to give this beer a taste! One of the crowd favorites of the evening came at the end of the meal. 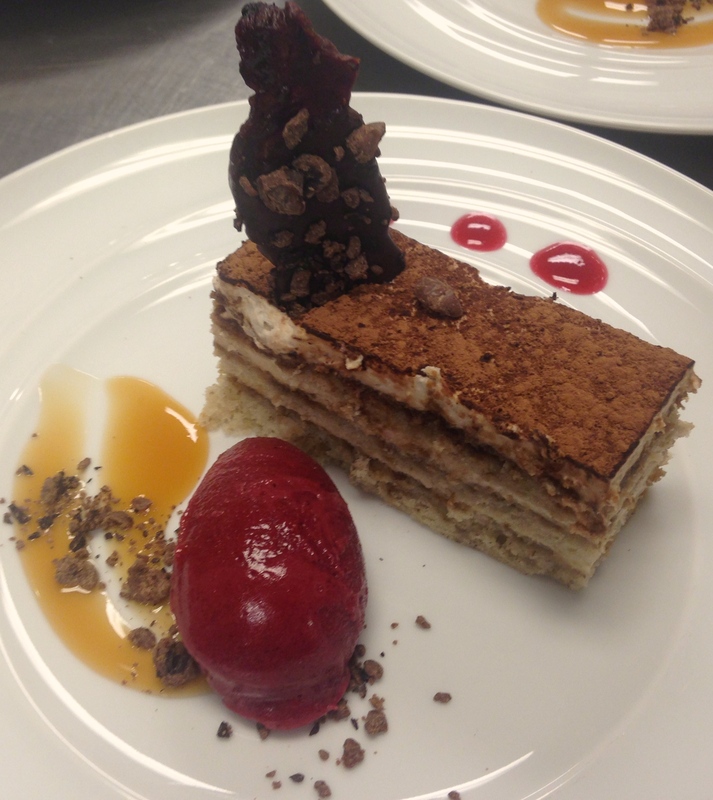 The chefs prepared an amazing banana tiramisu with raspberry sorbet, caramel and duck bacon. The dessert paired nicely with Big Boss Brewing Company’s Big Operator, a seasonal, full-flavored black ale. The beer is infused with raspberry in addition to a locally roasted cacao from the local Escazu Artisan Chocolates. It culminates with a dark raspberry and chocolate finish, which paired perfectly with the raspberry sorbet and savory duck bacon. Make plans to visit Flights for dinner one evening. After a great meal at Flights, pay a visit to Big Boss Brewing Company to relax on the patio or play pool in the tavern over a few brews.